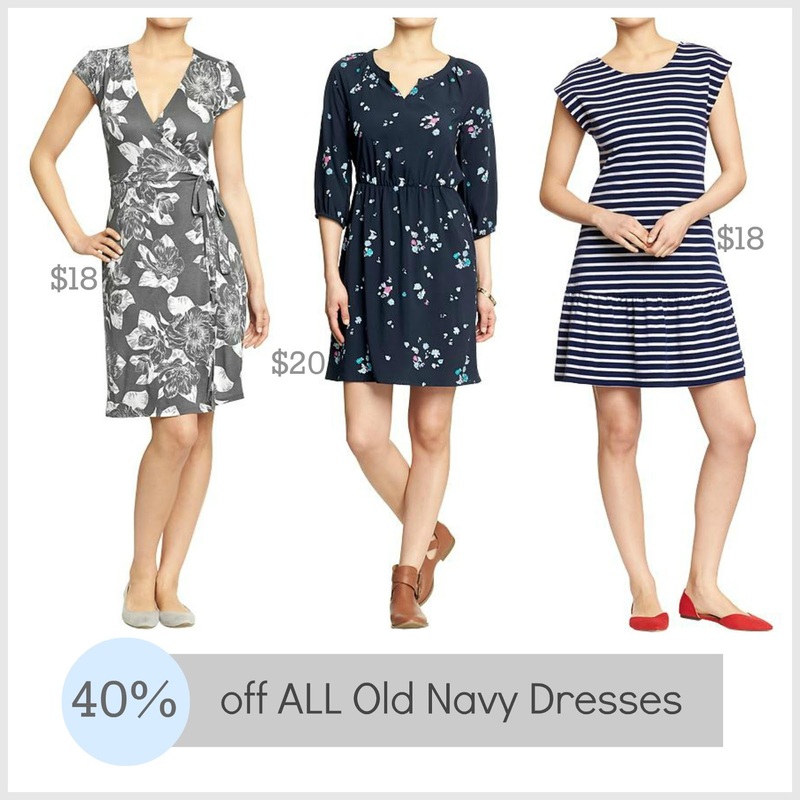 Tracy's Notebook of Style: DEAL ALERT: Old Navy Dresses 40% off until Midnight! DEAL ALERT: Old Navy Dresses 40% off until Midnight! Old Navy is taking 40% off all dresses through midnight tonight (2/26)! I love their dresses, especially worn with some sandals and a cardigan for a casual weekend. They've also added many work-appropriate dresses recently, I love throwing on a blazer over a shorter dress if you work in a less conservative workplace. I'm getting so excited for Spring in these cute dresses.....thanks for sharing! The dress fits great and it is as beautiful in person as it is in the picture. I am very satisfied and I highly recommend dealing with this company. Great customer service too.